It’s incredibly common for employees to frequently travel in the globally connected world we’re part of. It’s also more common than ever before to have remote employees on your team. They may work from their home office in the same town as your headquarters and occasionally check in, or they may work around the globe. Regardless of the specific situation, it’s important that you’re able to remain connected with employees when they’re not in the office. They need to feel like they’re in the loop and part of the team. The relationship needs to be nurtured as it is with a traditional employee or an employee who’s right in front of you. There are so many great technology platforms that streamline how you stay connected to traveling and remote employees in other ways. For example, modern and robust expense management software has made it possible to keep track of travel costs and expenses in real-time. Beyond the logistics and technicalities, how do you keep your traveling or remote employees feeling engaged and connected? When employees hear the term weekly meetings, it can be met with groans and eye rolls, but they can be helpful and beneficial, particularly for traveling and remote employees. You may not need the weekly check-in meeting for employees who are in the office with you, but everyone else it can be a good idea. 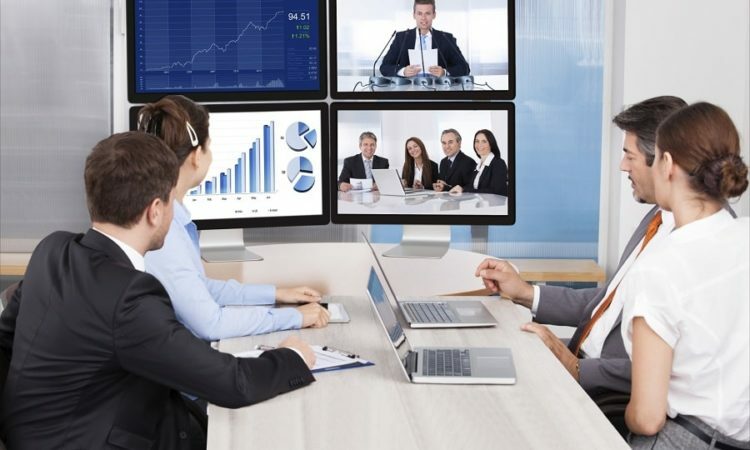 You want to make sure that you’re checking in with everyone via video conference and that will make them feel more connected to the organization. In addition, you’ll have the opportunity to hear any concerns they may have. If there are a lot of disjointed email conversations happening any given time, it can be tough to know what’s what. Instead, think about going with a group chat app or technology solution. Then, everyone can see what their co-workers are discussing, and everyone can feel like they’re part of the conversation and in the loop. It can also be helpful to reduce how many emails everyone has to send out because everything can be shared with all the relevant people in the company at one time. Instant messaging is a much better way to foster relationships and connections than emails in many cases, and it’s more efficient so more of the focus can be on productivity as opposed to trying to go through multiple channels to get an answer on something. When companies have employees working all over the place, it can be helpful for them to maintain their own social networking channels. This way, everyone can share interesting things that are happening, employees can be compelled even to share photographs and it can make people feel stronger relationships with one another and their organization. Encourage employees to share not only what’s going on with them work-wise but even personal stories (as long as they’re appropriate). For your employees who are always traveling, it’s so important they feel supported. Traveling for work can be annoying, frustrating and exhausting. You don’t want those employees to feel like they’re forgotten about. Wherever possible make sure your company is providing traveling employees with the support they need. For example, ensure that they can always get in touch if an issue arises. Whenever it’s in the budget, give them travel perks like covering the cost of TSA PreCheck and Global Entry. Maybe one of the perks of working for the company is VIP lounge access when they’re in airports. Whatever it is you can do to provide support, try and do it within reason. Sometimes when a company has employees who are frequently traveling, or they work remotely, there are no boundaries. It can be a very different situation than it is when employees are always in the office. Employees who are working remotely or traveling may feel like they’re obligated always to answer emails and respond right away. It’s important that you create boundaries within your company policies that let them know they have time off even if they’re not reporting to the office from 9 to 5 every day. Just because an employee is traveling doesn’t mean they should have to be connected to the office at all times. Finally, you need to make sure you create a team that can handle the challenges of traveling or working remotely. Not every employee is cut out for this, and if you have the wrong team in place it doesn’t matter what you do—they’re not going to be productive and they’re going to feel disconnected.